The first half of this manifesto is a blunt, savvy, Machiavellian manual on the art of political campaigning that Republicans and Democrats alike may ignore at their own risk. Horowitz (Radical Son, etc. ), former 1960s leftist turned prominent conservative, urges Republicans to go on the offensive, to take back issues that Clinton Democrats have co-opted, to reach out to working people and minorities, and to master images, symbols and sound bites as the Democrats have done. 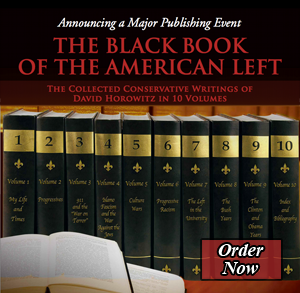 The book’s incendiary second half, gathering articles of which many originally appeared in the Internet magazine Salon, reveals Horowitz as an independent, rigorous, outspoken political analyst who nevertheless can sound as dogmatic as a conservative as as he did when he was as a leftist. Horowitz calls Noam Chomsky an “America-loathing crank,” advocates an end to “racial preferences” (affirmative action), argues that left-wing activists make up the core of the Democratic party, and castigates teachers’ unions as the chief opponents to school reform. Ridiculing the NAACP’s class-action lawsuits against gun manufacturers and educational testing firms, he contends that leaders like Jesse Jackson and Al Sharpton have betrayed the civil rights movement by promoting a blacks-as-victims mentality and by blaming whites for problems endemic to the black community–an attitude that he says has been exacerbated by a patronizing liberal establishment. With this latest set of incendiary essays, Horowitz (Hating Whitey and Other Progressive Causes, 1999, etc.) carves out his niche as the St. Augustine of the American Right—a convert from the Left who sees the world as a struggle between the faith he has embraced and the one he has rejected. According to Horowitz, the cardinal law of American political war is that “the side of the underdog, which is the side of the people, wins.” Democrats have mastered this lesson, along with the art of the devastating soundbite. But Republicans are so inept at this that they have not only lost the last two Presidential elections, but they also have had their clocks cleaned time and again by unscrupulous Clintonites over impeachment, national security, crime, and budget cuts. The last pitched battle over the education budget ended in a typical GOP disaster, Horowitz observes: “they managed to look mean-spirited, stupid, and weak, all at the same time.” After finishing Horowitz, unwary readers might believe that the GOP practices unilateral electoral disarmament. At times, when his broadsides taper off, Horowitz makes points that are not overtly partisan (e.g., Democrats and Republicans share a tendency to censor free speech). He can be properly outraged that a Time columnist tarred him as racist, and he is insightful on the rightward turn his career took after the Black Panthers’ murder of his radical friend Betty Van Patter: “It was a need to escape a death of the spirit that caused me to alter my course.” But more often, the columnist’s self-described “in-your-face” style distracts from his message, as when he charges that “racial ambulance-chasing” has sustained the career of Jesse Jackson. Politics may indeed be “war by other means,” as Horowitz claims—but who would dare to argue otherwise with an author so addicted to name-calling and the frontal assault?